I figured I'd do a follow-up to my Valentine's Day post. 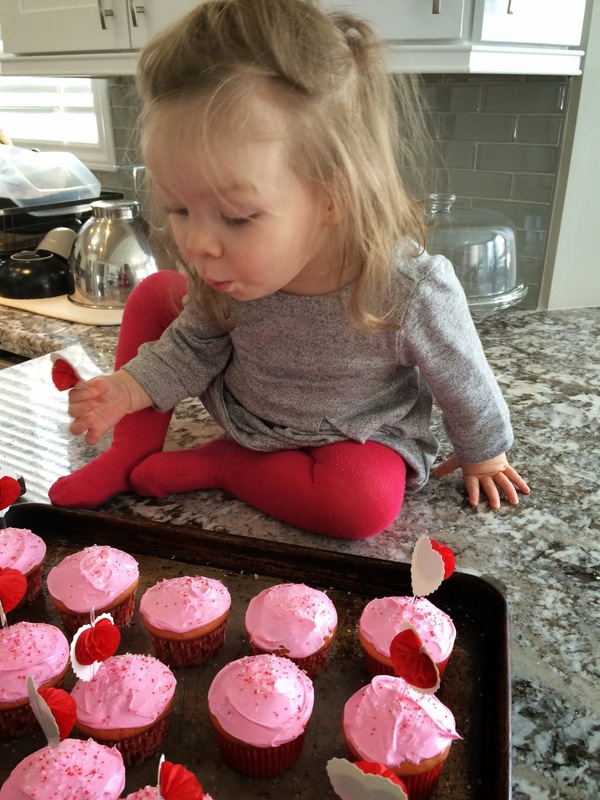 Valentine's Day was a hit in our house!! Mini-me was so excited that she woke up at 5:30, much to the chagrin of Mr. B and I. 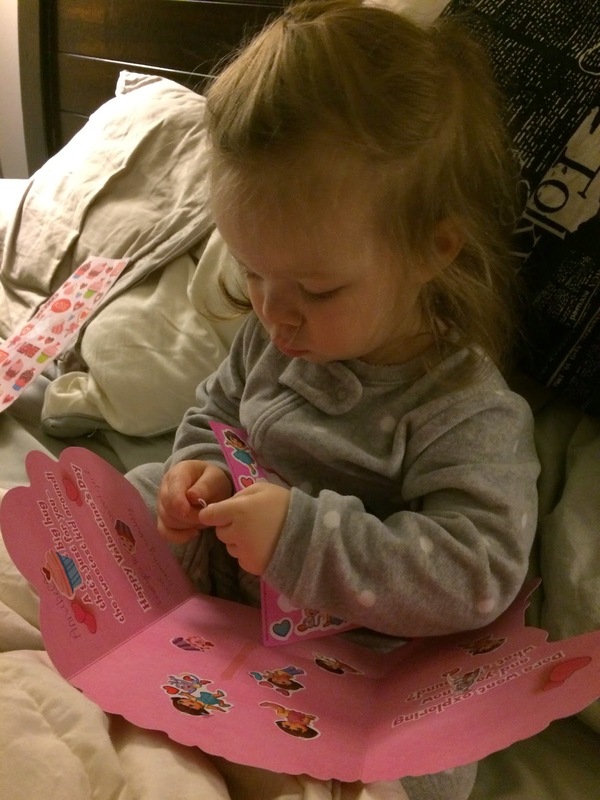 She thoroughly enjoyed her Dora card and stickers (all of which need to be applied immediately while we were still in bed). Unfortunately, Mr. B had to work during the day, but the sting of that was lessened by the fact that he bought me Hunter boots for V-day!!! 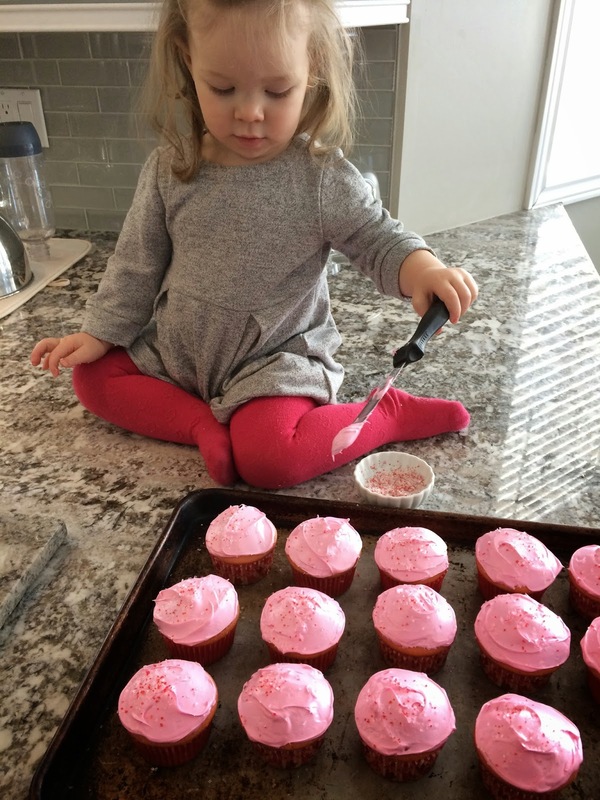 Mini-me and I got our cupcake making on and needless to say she had a blast!!! 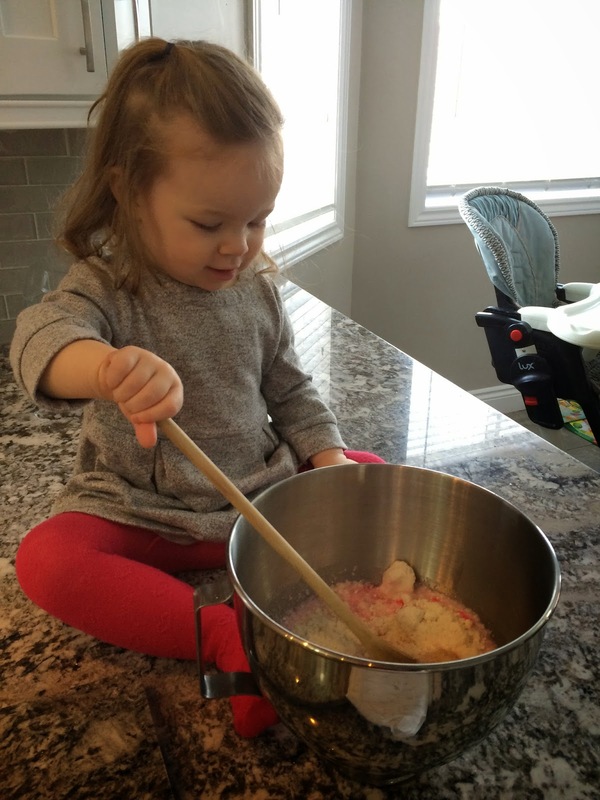 We did make a little bit of a mess, but the expressions on her face were more than worth some spilled flour on the counter. This past Monday was Family Day in Canada which meant a bonus day with my family!! 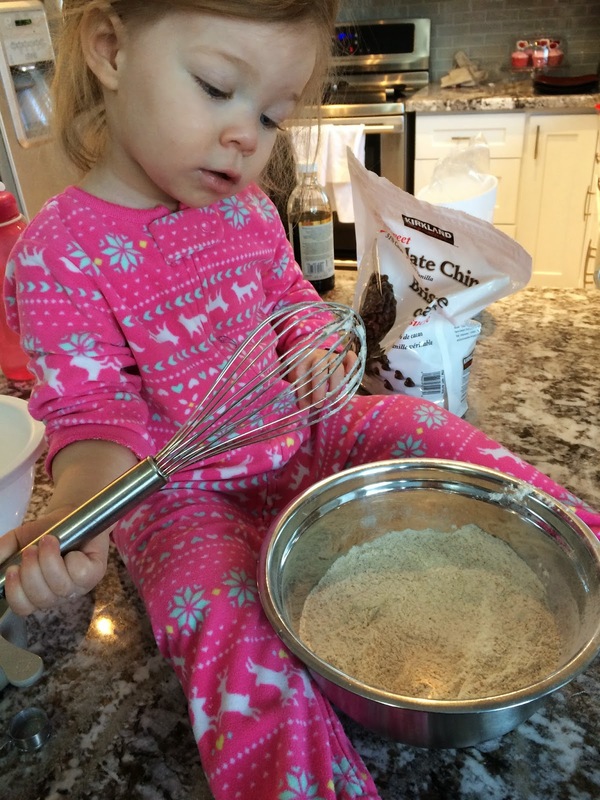 What better way to start the day than having mini-me assist with pancake making?!?! 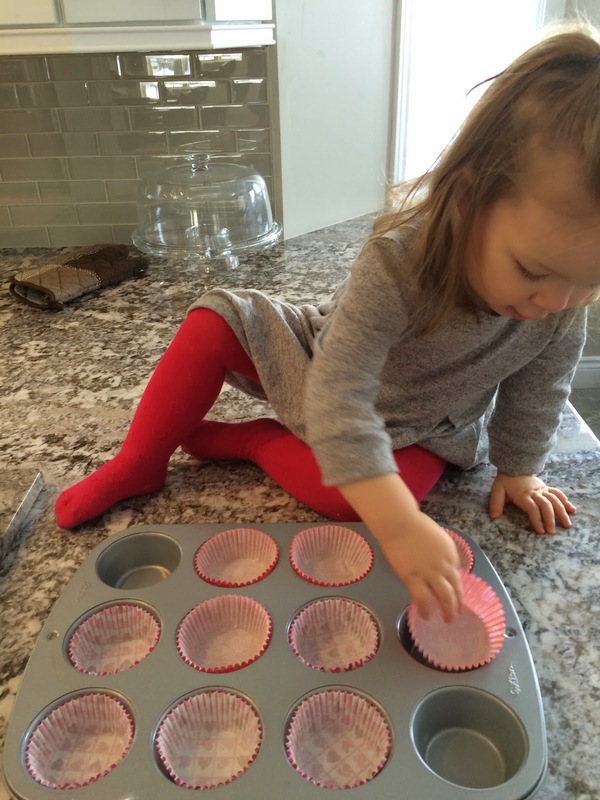 She's become such a great little helper and she just loves it. Now anytime I'm doing anything on the counter she asks to help and wants to sit up on the counter. Mr. B and I decided to reclaim our living room (aka move all of mini-me's toys) and provide her with a 'playroom' (aka half of our barely-used dining room). 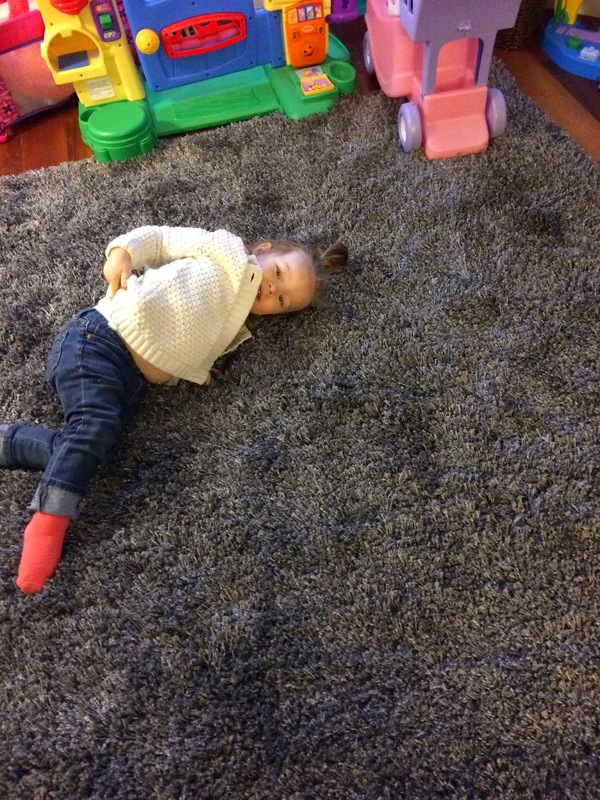 We couldn't be happier with the results and mini-me is also pretty excited to have an area of the house that's just for her (and not her bedroom). She's so excited about it that tonight at bedtime she said "night night playroom" as we headed up to her room. COME ON that's the cutest! Sorry for the picture overload, I can't get enough of that little cutie! 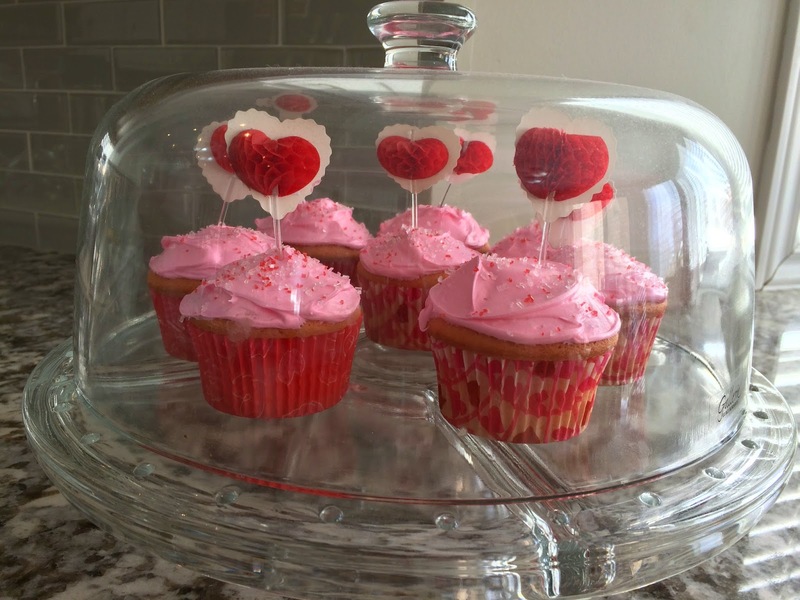 Cupcakes are one of my favorite foods - and these look delicious! I love all the pictures - your daughter is just the cutest. I love that she's so excited about her new play area! I love cupcakes and those look so pretty and yummy! Mini-Me is too cute and lucky you for getting Hunter boots! What color are your Hunters boots? I can't believe you didn't share that fine detail!! Lol... unless, I missed it? 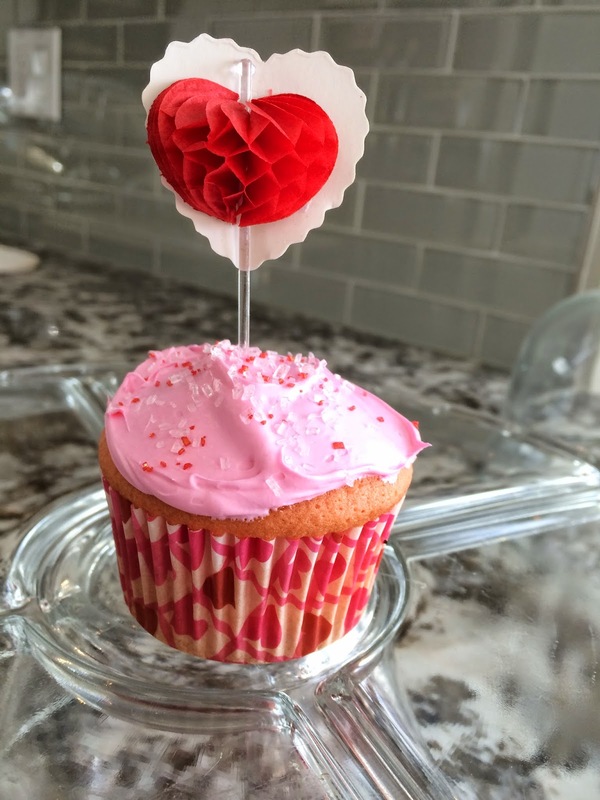 I always make cupcakes for V-Day and those cupcake toppers are TOO cute. 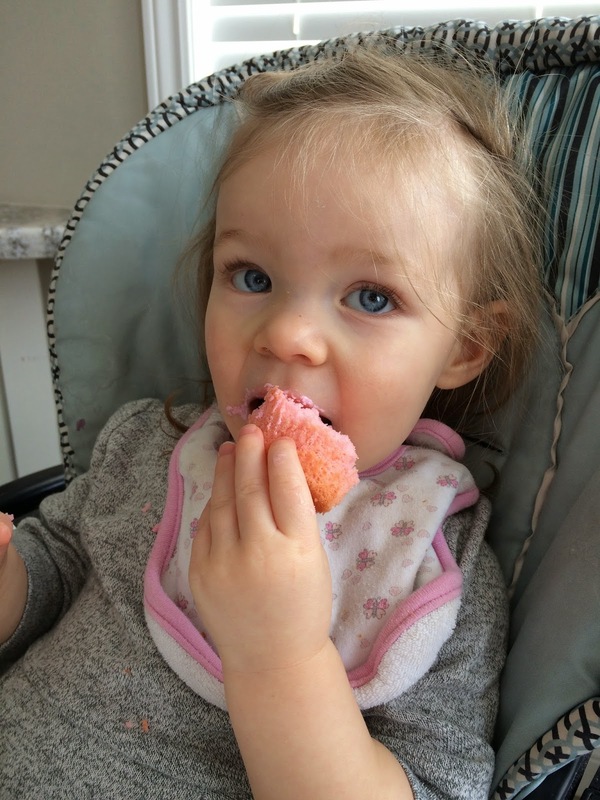 Those cupcakes look yummy! And yes, we need the boot details. Color and height?